Owen Hicks became the director of the Centre for Staff Development at The University of Western Australia in 1992. Owen joined HERDSA and discovered that there was no active local professional community. He was instrumental in the foundation of the HERDSA WA Branchand became the foundation Branch President and later the Branch Treasurer. The branch soon grew to be one of the largest and most active in Australia, with approximately 100 members. Owen also promoted collaboration between the academic development units in the Western Australian universities through activities such as the Teaching and Learning Forum and a range of cross-institutional programs. He was active in the Director’s group that is now formerly known as the Council of Australian Directors of Academic Development. Owen led HERDSA as the national President from 1997 to 1999 and was influential in promoting of local branch activities andredressing the gender imbalance in Life Memberships. 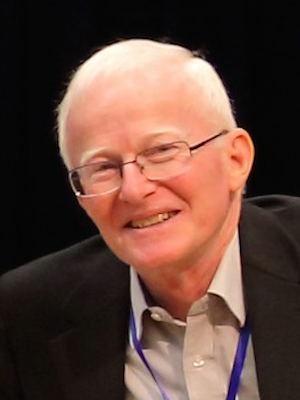 In 1997 Owen drafted the first “HERDSA Discussion Paper on the Accreditation of University Teachers”with Graham Web,which eventually led to the HERDSA Fellowship Scheme as we know it today. Owen was a member of the International Consortium for Educational Development (ICED) Council and hosted the first ICED conference in the Southern Hemispherein 2002. Owen has beena Senior Consultant with the ALTC (now Office for Learning and Teaching) and is currently completing his third Australian Volunteers International assignment, this timeat Pham Van Dong University in Central Vietnam.